Pulp's infectiously catchy commentary on the joys of class tourism helped propel the group to fame after nearly two decades of obscurity. 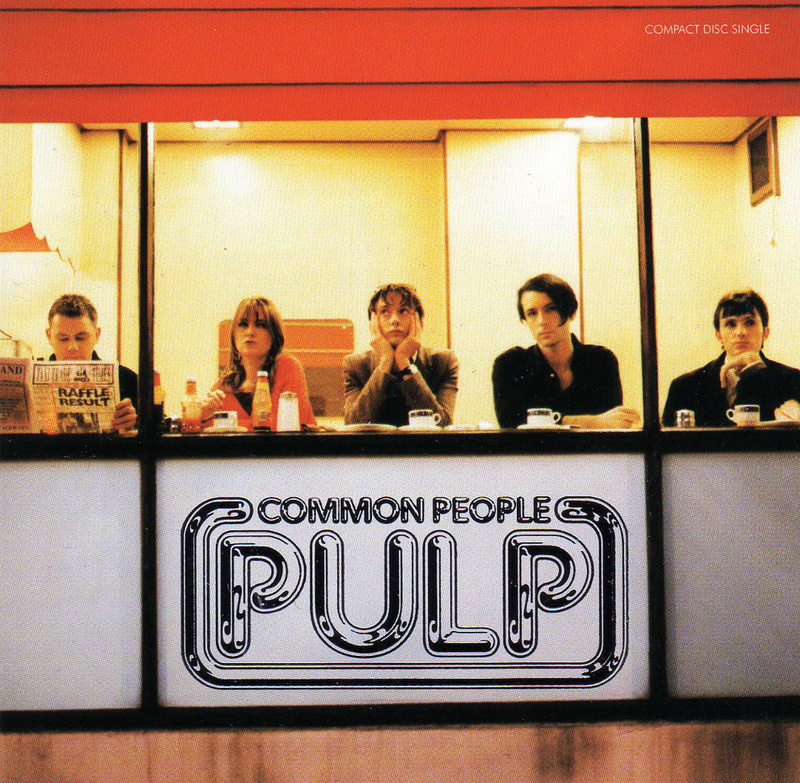 Engineer David Nicholas tells us how 'Common People' was recorded. 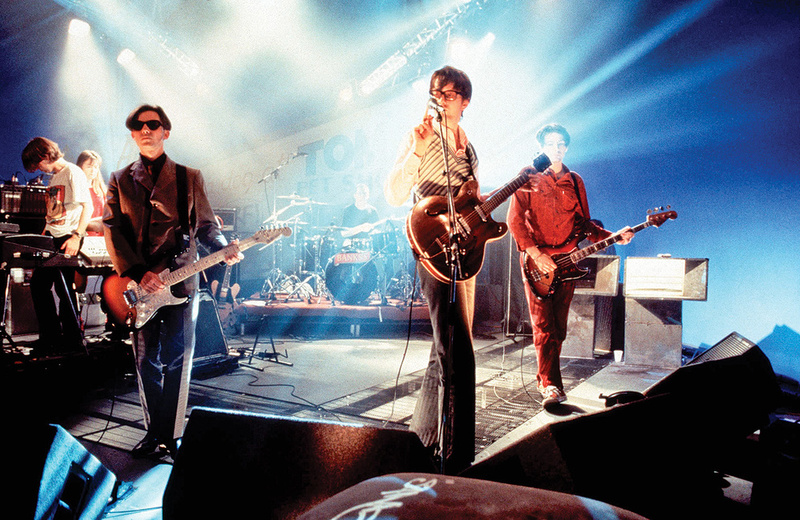 Laden with acute social commentary, 'Common People' was the Britpop anthem that, at the height of the media-fuelled feud between Oasis and Blur, became synonymous with the summer of 1995. Before this, Pulp had struggled ever since their 1978 formation in Sheffield. Indeed, during the past 35 years the band have boasted no fewer than 30 members, yet it was the line-up of singer/guitarist Jarvis Cocker, guitarist/violinist Russell Senior, bass player Steve Mackey, keyboardist Candida Doyle and drummer Nick Banks that, in 1994, enjoyed their breakthrough via the Top 40 UK single 'Do You Remember The First Time?' and Top 10 UK album His 'n' Hers. Buoyed by this success, Pulp now pursued a more mainstream pop direction with veteran producer Chris Thomas at the helm, and the first fruit of this collaboration was their biggest hit, 'Common People', which climbed to number two in the UK and is now widely regarded as a '90s classic. Not that all of the group members initially shared this opinion. Familiar with the working-class environs of Sheffield, Cocker didn't comprehend why or how the well-to-do young woman would derive any sense of pleasure from stepping down the social ladder. Yet, at the time, this didn't annoy or concern him. For, as he explained in a 2006 BBC TV documentary, "I didn't want to kill her, I wanted to shag her.” This is why sexual attraction would become an important component of the song, even though, as Jarvis Cocker himself has admitted, the idea that the song's real-life inspiration might have wanted to sleep with him was "absolutely, totally a lie”. While at the college, Cocker acquired a part-time job cataloguing cassettes at the Record & Tape Exchange in Notting Hill... for a day. Fired for not showing up while tripping on LSD, he nevertheless returned to the shop after completing his film course and bought the Casiotone MT500 keyboard on which he came up with a straightforward melodic riff that would serve as the basis for 'Common People'. Now fast forward to 1994, by which time Cocker had added the lyrics inspired by the slumming ambitions of his Greek muse. Rehearsals for 'Common People' took place in an attic above a pottery shop run by Nick Banks's family, and thereafter the number was afforded two weeks of sessions at London's Townhouse Studios. 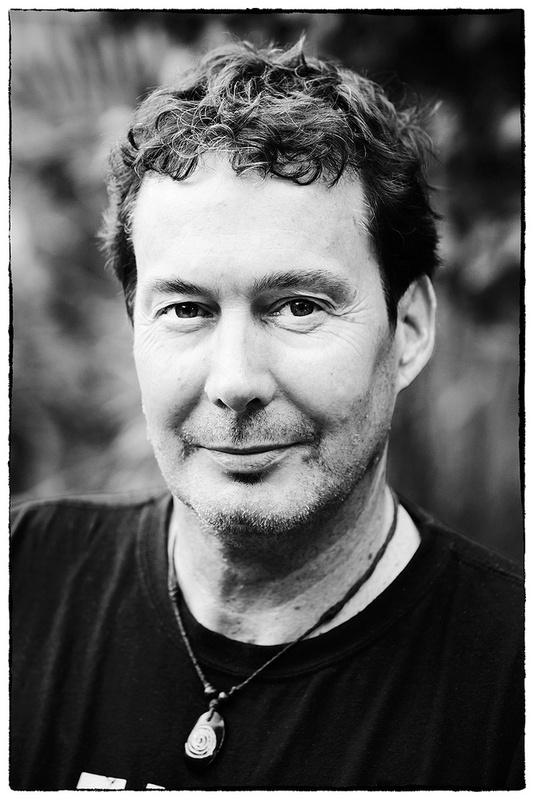 Growing up in Canberra, Australia, Nicholas played in school bands, "starting on guitar and ending up on bass, like most producers I've come across. Bass playing is a good mix of melody and structure.” At the age of 20, he then relocated to Sydney and, together with Andrew Scott — who had been the lighting engineer for his most recent band's concert tours — built the Rhinoceros Recordings facility with Scott's inheritance from his grandmother. "There were five of us doing that work, and aside from laying the carpet and installing the glass, we did everything ourselves,” David Nicholas says. "We didn't really know what we were doing. We just wanted to build something that felt right for us, and we got a bit carried away. It took us a year to finish, and afterwards it was much better than we realised. In fact, once we realised we were actually onto something good, we managed to raise the funds to bring the first Solid State Logic console into the country, and from then on we pretty much stayed ahead of the game. So, did Nicholas have any production or engineering credits under his belt prior to opening Rhinoceros? "No, and I avoided that question as much as possible for the first couple of records. Then again, being that Andrew and I had built the studio and installed the first Solid State Logic, no one else knew how to drive it anyway. The thing about production and engineering is that, if you have a clear understanding of what the end result should be, then the technology's just a tool. A lot of people can get over-obsessed with the technology and forget what the end goal is. 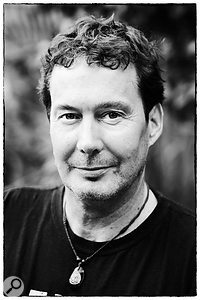 Having worked in that capacity on INXS's Shabooh Shoobah back in 1982, David Nicholas was teamed with Chris Thomas for the band's Kick album five years later, and this led to a late-1988 collaboration on Elton John's Sleeping With The Past at Puk Studios in Denmark. Then, after a hostile takeover resulted in Nicholas losing control of Rhinoceros, Nicholas moved to the UK and once again worked with Thomas on records by Elton, Shakespeare's Sister, Marcella Detroit... and Pulp. "I was Chris's engineer for about eight years and Pulp was one of those projects,” says Nicholas. At the time of the 'Common People' sessions, Townhouse's Studio 2 was equipped with a brand new 72-channel SSL G+, two Sony PCM3348 digital multitrack machines, TAD main monitors and NS10 nearfields. The band cut the rhythm track live. While Nick Banks played his Yamaha kit in the big room and Russell Senior was in a booth with his Fender Jazzmaster and violin, David Nicholas recalls the other band members being in the control room. Steve Mackey played a Musicman Sabre bass, while Jarvis Cocker employed Vox Marauder, Ovation 12-string and Sigma acoustic guitars, as well as his Roland Vocoder Plus VP330, Roland SH09, Micromoog, Mellotron and Synare electronic drums. Candida Doyle switched between Minimoog, Farfisa Compact Professional II organ, Fender Rhodes, Roland Juno 6, Ensoniq ASR10 and Korg Trident II. "I miked Nick's drums in the usual way,” Nicholas recalls. "There were Sennheiser MD421s on the toms and the kick drum, AKG C414s in X-Y stereo for overheads, Shure SM57s top and bottom on the snare, an AKG C451 with the 20dB pad on the hi-hats and, for room mics, a crusty mono ribbon with a pair of Neumann 67s up against the wall. "For the guitars, I again would have used what I always use: a Beyer M201 and Neuman FET 47 pointing towards each other, between four to six inches in front of a speaker and put through a Urei 1176 compressor. No EQ — it always sounds fine. Then, for the bass, I tended to use valve DIs and the preamp out of the head; never straight out of the guitar. "I remember Candida playing a basic part on 'Common People' with the Farfisa — which produced her big kind of signature sound — but a lot of that was redone. Sitting with his Micromoog, Jarvis was constantly going, 'Just give me that for a second.' So, we'd run the part through the Moog, he'd fiddle with it and we'd put it back down on tape. Candida's keyboards all had push-button presets, and Jarvis modifed everything so they didn't sound like push-button presets but had a certain Jarvis-ness about them. "The thing with 'Common People' is that it starts at 90bpm and finishes at 160bpm, with each verse cranking it up. We recorded four or five takes of the band track and, as they weren't recorded to a click, some of them didn't end up at 160; they ended up at different tempos. It was totally freeform, with everyone following Jarvis's guide vocal which just got faster and faster and faster, and therefore stitching together those different band tracks really was a head trip; a case of 'The third verse in this take actually fits better with the second verse of this take,' and so on. Since we had the magic front take and the magic end take, we just had to figure out how to get from one to the other while keeping it plausible. Thereafter, Jarvis Cocker re-recorded his increasingly manic, ultimately compelling lead vocal, paving the way for overdubs that — ranging from Russell Senior's violin to a Rolf Harris Stylophone — filled the 48-track tape and created a multi-layered sound. "Jarvis then performed a guitar part with his Sigma acoustic that completely glued the whole song together,” Nicholas recalls. "Up to that point we were still struggling with it sounding a bit lumpy when I was doing the speed-ups, and he just said, 'I know how to fix it!' and nailed the acoustic guitar in one take. It made the track sound totally believable. When you've been working on it for 24 hours, you hear every edit and you can't get them out of your brain. But that guitar part, reproduced in mono right in the middle of the track, made all of the speed changes sound perfect. It was one of those truly amazing moments. "Jarvis is an incredible guitarist and I recorded him with the same mic that I used to record his vocal: normally the best valve mic they had in the place, such as a Neumann U67, running to tape through an 1176. For me, it's about getting good sounds at source and not doing too much other stuff. I've had two people use the same mic setup and heard one sound awful and the other sound amazing, and that's because it all comes from the fingers; it comes from the players. If they're on their game and they've got the touch, it doesn't matter what they're playing: it'll sound like them and it'll sound fantastic without you having to do anything. That's why I try to keep the engineering side as simple as possible. "While the members of Pulp were all good musicians, Jarvis was a standout; on another level altogether. He's one of those people who's got a great overall vision. In addition to playing a lot of the guitar parts on the Different Class record, he also messed with a lot of the other sounds through his synth and just had a great feel for what did and didn't work. In that respect, he reminded me of Michael Hutchence, who'd have a vision of where a particular song should go. "In its full form, it's a story from start to finish, so it was a pain in the arse when the record company wanted it shortened,” David Nicholas comments. "It was really difficult to make cuts and have it still make sense. Jarvis, Chris and I sat around, having long philosophical discussions about how to do this. After all, chopping a bit out wouldn't only affect the story; it would have to somehow fit in with the shifting tempo. As the label demanded the cut after the record had been finished, we had to cut the two-track, not the multitrack. That meant there could be no fixing the tempo shifts, which is why cutting the last part was pretty much the only option. 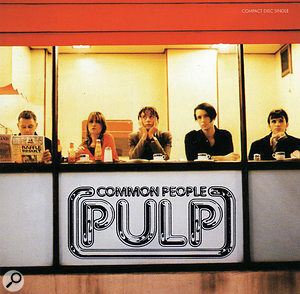 In the UK, 'Common People' was issued as a single in May 1995 and the following month it was the climax of Pulp's landmark appearance at the Glastonbury Festival, headlining on the Saturday night when a mountain-biking accident suffered by the Stone Roses' lead guitarist John Squire forced them to pull out at the last minute. Pulp's fame peaked with that performance, leading to the inevitable backlash in the British press when, a month before the late-October release of Different Class — featuring the guitar contributions of new band member Mark Webber, who'd previously been the group's fan club president — 'Sorted For E's & Wizz' was issued as the next single. "Ban This Sick Stunt” cried a front-page headline in the Daily Mirror, attached to a report about the record's inlay instructing buyers how to hide amphetamines in a DIY 'wrap'. A couple of days later, Jarvis Cocker issued a statement refuting the notion that 'Sorted' was a pro-drugs song, and the single subsequently matched the achievement of 'Common People' by peaking at number two in the UK chart. 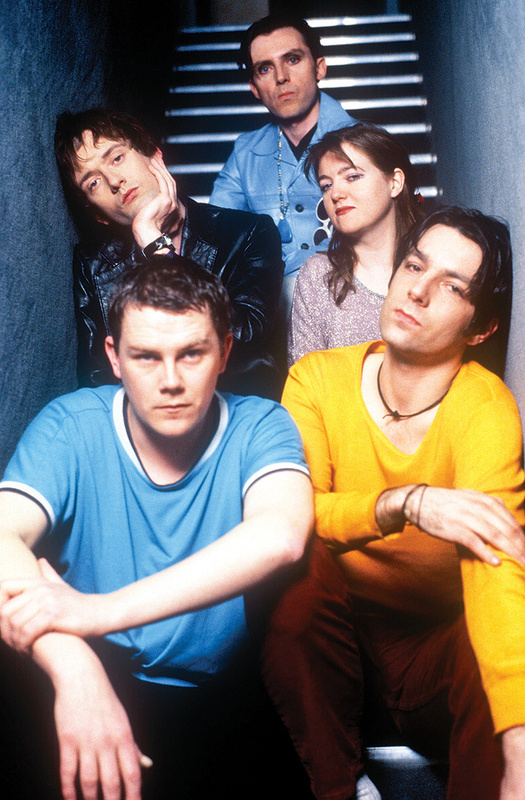 Two more Top 10 hits would follow in the form of 'Disco 2000' and 'Something Changed', yet it is 'Common People' that today stands as Pulp's most enduring piece of music.